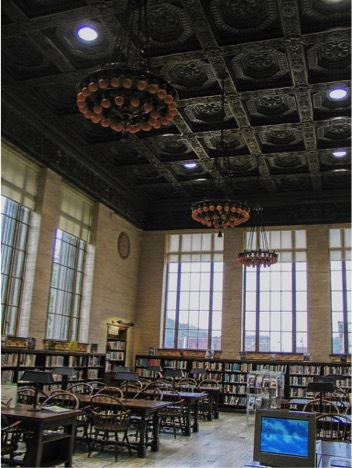 Architecture Feature: B. F. Jones Memorial Library, Aliquippa, Pa.
“Classic Lines, Sufficiently Modern, a Charming Freshness, and Dignity of Style”: B. F. Jones Memorial Library, Aliquippa, Pa. The present City of Aliquippa was created from the merger of the towns of Woodlawn and Aliquippa in 1928. . . . 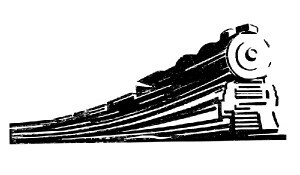 The city’s history is closely tied to that of the Pittsburgh & Lake Erie Railroad (P&LERR) and the Jones & Laughlin Steel Company. The P&LERR’s line from Pittsburgh to Youngstown, OH was completed in 1879. 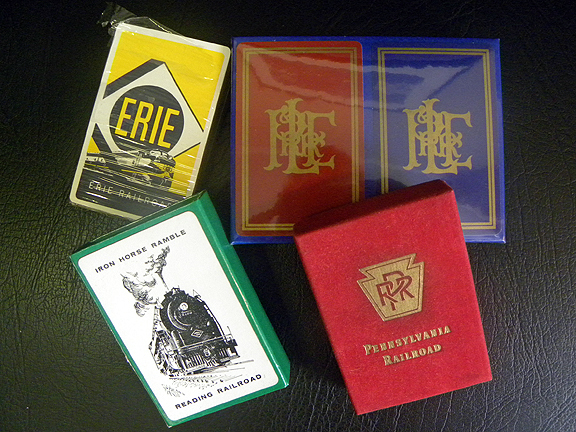 To encourage passenger traffic from both cities, the railroad opened an amusement park, Aliquippa Park, roughly equidistant between them in 1880. The name Aliquippa was chosen by the President of the P&LERR, who had an interest in Native American history; Queen Aliquippa was a leader of the Seneca Tribe in the 18th century. There is no evidence of a direct association between the historical figure of Aliquippa and the town site, however. Brandon Smith was among a handful of the most talented eclectic architects to have practiced in western Pennsylvania. One of the last in a noted generation of traditionalists, his work at Fox Chapel Golf Club, The Edgeworth Club, and on a series of fine residential designs are distinguished by thoughtful accommodation and unfailingly gracious resolution. He is deservedly remembered as Pittsburgh’s most sought after high society architect. Smith was born in Allegheny City in 1889. His parents were Charles O. and Elizabeth Benn Smith. His family was of German and English descent and his father owned the Sterling White Lead Co., which was later sold to the National Lead Co.
Brandon graduated from the old Central High School, his first job was demonstrating roadsters and early automobiles. He attended architectural classes at Carnegie Tech in the years 1910 – 1912. He was a student of unmistakable talent and sophistication, but he never graduated from the program. He enlisted in the Army in 1917 and served as Lieutenant in the Field Artillery during World War I. While stationed in Salt Lake, Utah, he met and later married Kate Nelson. They had two daughters, Marian and Barbara. It’s important to note that early in his career Brandon worked in the office of Alden & Harlow. From 1920 – 1927 Brandon worked in partnership with Paul A. Bartholomew, a University of Pennsylvania graduate who had also worked at Alden & Harlow. Bartholomew & Smith had offices in Pittsburgh and Greensburg. The years of the Great Depression and the Second World War were very hard on architectural careers and Brandon despaired that the profession would never recover. During the war years some of his beautiful drawings for designs that would never be built were exhibited by the Pittsburgh Architectural Club, and by the Associated Artists of Pittsburgh. He remained a traditionalist, opposed modernist ideas, and retired to Florida in 1955. 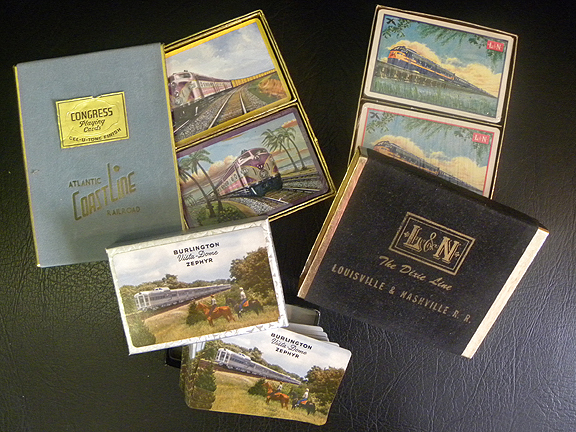 There he also designed a few buildings, and died in Pensacola in 1962 at the age of 72. He is buried in Arlington Cemetery. Artwork in the library consists of a larger-than-life bronze and marble statue of B. F. Jones by Robert Aiken of New York City; the color scheme in the building was planned by Norah Thorpe of New York City; Mrs. Horne’s portrait is by Dutch portrait painter Alfred Hoen; and the leaded glass windows are by Henry Hunt of Hunt Studios, Pittsburgh. Programme of the Presentation and Dedication of B. F. Jones Memorial Library. Aliquippa, Pennsylvania, February 1, 1929. 50th Anniversary, B.F. Jones Memorial Library 1929-1979. Aliquippa, Pennsylvania. F. Jones Memorial Library, National Register of Historic Places Inventory––Nomination Form. Placed on the NRHP on December 15, 1974. Vater, David J. “Brandon Smith, Eclectic Architect.” Fox Chapel Golf Club, October 2, 2005. Bamberg, Angelique. “An Architectural Inventory, Franklin Avenue Aliquippa, PA. Report of Findings and Recommendations.” Prepared for the Community Development Program of Beaver County in cooperation with Pennsylvania State Historic Preservation Office by Clio Consulting, June 12, 2016. Angelique Bamberg, An Architectural Inventory, Franklin Avenue Aliquippa, Pa, 3. “B. 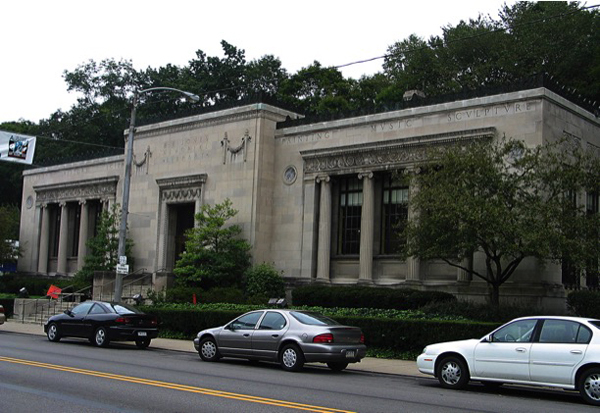 F. Jones Memorial Library,” National Register of Historic Places Inventory-Nomination Form, n.p. David Vater notes that Smith later partnered with Harold O. Rief, with offices in downtown Pittsburgh. Vater, “Brandon Smith, Eclectic Architect,” 2005. 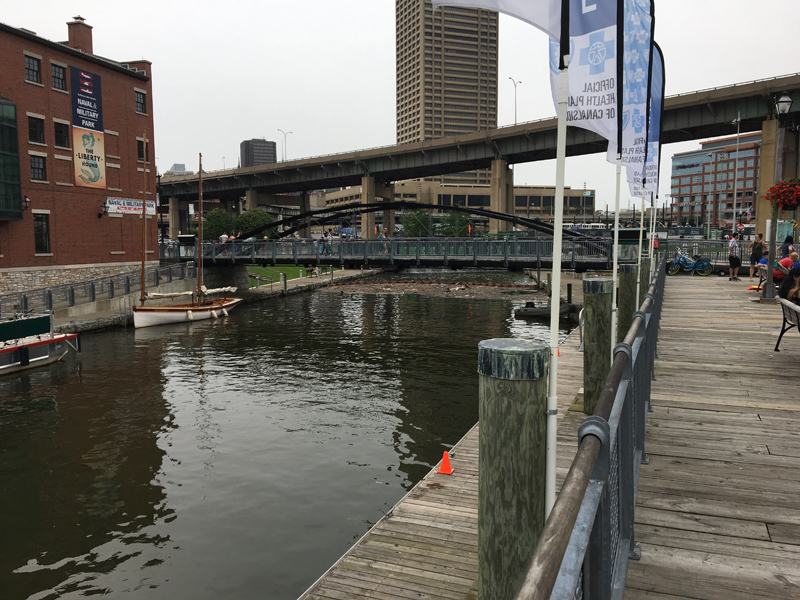 On a recent trip to Upstate New York, Arthur Ziegler, president of Pittsburgh History & Landmarks Foundation (PHLF), toured the historic Chautauqua community, Buffalo’s Canalside, a waterfront development on the Erie Canal Harbor in Buffalo, and Niagara Falls. He recounts the trips and some of his thoughts and observations on the history of the area, sense of place, and town planning in the essay below. It had been many years since I last visited the Chautauqua Institution near Jamestown, New York, when I drove up there a couple of weeks ago to take in a performance by Garrison Keillor, the noted author, humorist, and radio personality. 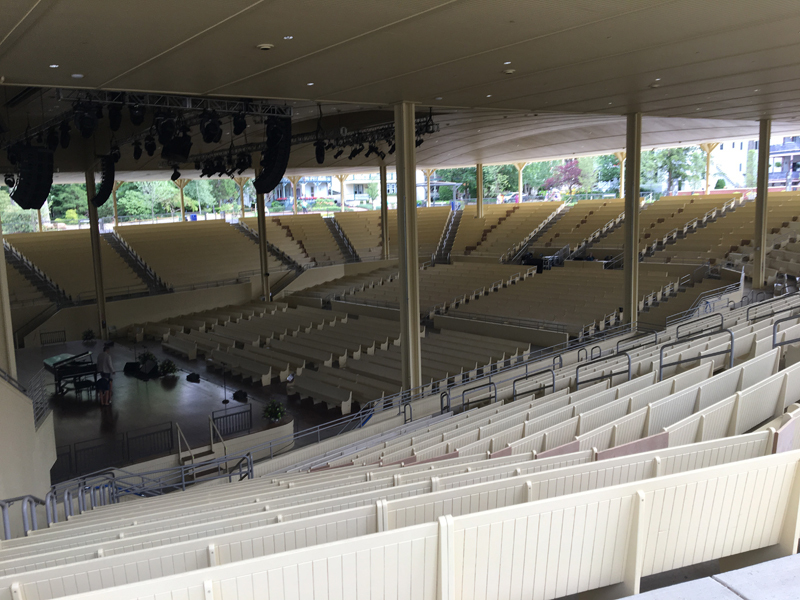 The Chautauqua Institution, of course, was embroiled in considerable controversy in recent years concerning its demolition of its historic amphitheater, which had been listed on the National Register of Historic Places. We, at PHLF, joined the preservationist voices from all across the country in opposition to the Institution’s plans, but the board of directors of the Institution won out and raised over $23 million to demolish it and build what is actually a rather good replica. From what I observed, they have created a better access for physically handicapped patrons, a large addition to the theater for back-of-the-house improvements and space needed for performers. The wooden benches and the spaces, the stage, are all replicated and the organ is in place. One would hardly know the difference but one can feel the loss of the patina of time that one felt in the former amphitheater. For this opening week Garrison Keillor performed with two cast mates from his old radio variety show, A Prairie Home Companion, and the acoustics in the amphitheater were perfect both for performers and the several thousand attendees who joined in singing old-time songs. A new plaza will be developed in front of the theater in the coming year to make that area more inviting. It is the planning—or lack of planning—that makes Chautauqua itself so welcoming and really endearing. There is a relative grid pattern of streets except for a curving street from the lakefront up toward the hotel. There are few curbs, few sidewalks, and yards go right to the edge of the asphalt and almost every yard has a front yard garden or little lawn. In late July, the flowers were all in bloom, making the town feel very inviting. The informality of the roads and gardens is rare in America and largely disallowed anywhere in planning today. The architecture of Chautauqua, largely Gothic, board and batten, and some classical, is an endless treat to the eye and every time one walks for about a block, no matter how often it is repeated, one sees new details. 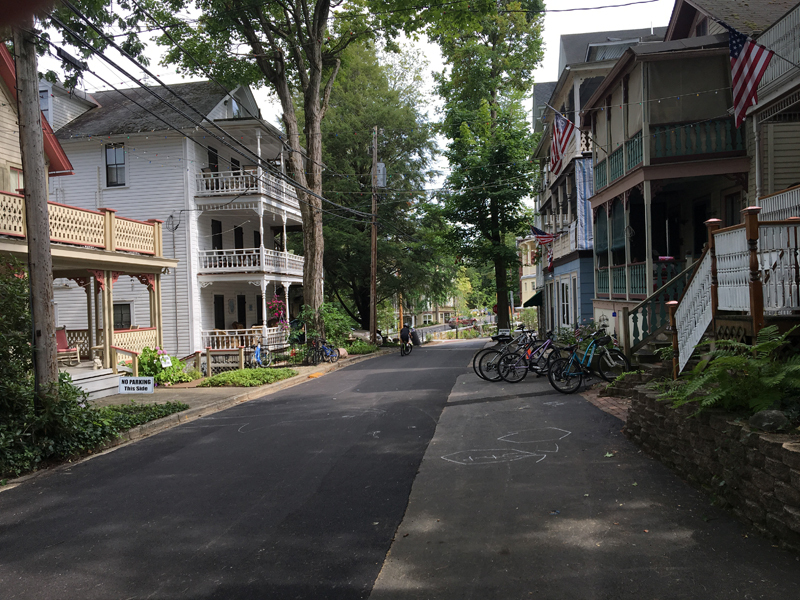 In Chautauqua, it appears, that no house has setback requirements and there is no single-use of land i.e., a street block might have single-family houses, inns, rental cottages, lecture hall, restaurant, art center. Everything exists in harmony, a notion that runs counter to our contemporary ideas of urban planning where different uses are isolated from one another. What they have in Chautauqua that also helps to make the community feel inviting and in-tune with nature is that shade prevails. The town is filled with great trees everywhere, a mixture of deciduous and conifers. One can walk the entire town with comfort because of its short street blocks. There, I recalled that Jane Jacobs taught us the value of short blocks. Amidst the charm of the town, I was reminded that the community in Chautauqua was founded as a religious retreat by the Methodist churches and religion still prevails. The residents and visitors are— at least when I was there— almost entirely white, and aging. Occupants of houses now seem to be permitted to have alcoholic beverages on their porches but the great hotel has limited its offerings to wine and beer. While the artistic and intellectual programs are plentiful and varied, Chautauqua still seemed to be limited in its demographic appeal and I wondered how many of the people that were there will be there 10 years from now due to age and infirmity. In the future, I wondered: What will bring younger more diversified people there? From Chautauqua, I drove farther north along I-90 to Buffalo, New York, to visit and see Canalside, a waterfront redevelopment in an historic district on the city’s inner harbor. Located within Buffalo’s Downtown, the redevelopment of the area started in 2005 when the state of New York formed the Erie Canal Harbor Development Corporation, a state agency that was charged with planning the redevelopment of this historic site to help boost Buffalo’s economic resurgence. Stanton Eckstut, a leading preservation planner and architect with Perkins Eastman— and who has done considerable work with our organization over the years— was the project designer and through his vision the Erie Canal has been resurrected, water is flowing, and a Downtown playground has been established all around it with a number of developments scheduled to come. A light rail line comes right to the project connecting to the business area a couple of blocks away. Here is a planning triumph, I thought, in that it is bringing residents and visitors back Downtown and in the winter when the water is frozen in the canal, it is a hugely popular ice skating rink. I saw a group of youngsters enjoying hula hoops, some oldsters talking to one another in a collection of Adirondack chairs, and people enjoying views of the water, the marina, and a great naval destroyer anchored there. A highway soars over the site on concrete posts and it has been retained and people frolic underneath it. The area has been pedestrianized with easy access by vehicle and parking and various areas are treated in different ways, some with wooden boardwalks, some with lawns, some with blocks that might have been used in the ships that sailed there, old foundations from the canal and adjoining buildings have been excavated, and interpretive panels have been displayed with good graphics narrating the history of the area. I could see that Stan Eckstut and his team sought to renew the core of the city as a major attraction by reviving its history. In doing planning anywhere, Stan first looks to the history of what happened at a particular site and then develops relevant concepts for people living, working, and playing in the space today. In Buffalo, unlike Chautauqua, people of every age and race were there in abundance and the place felt alive. 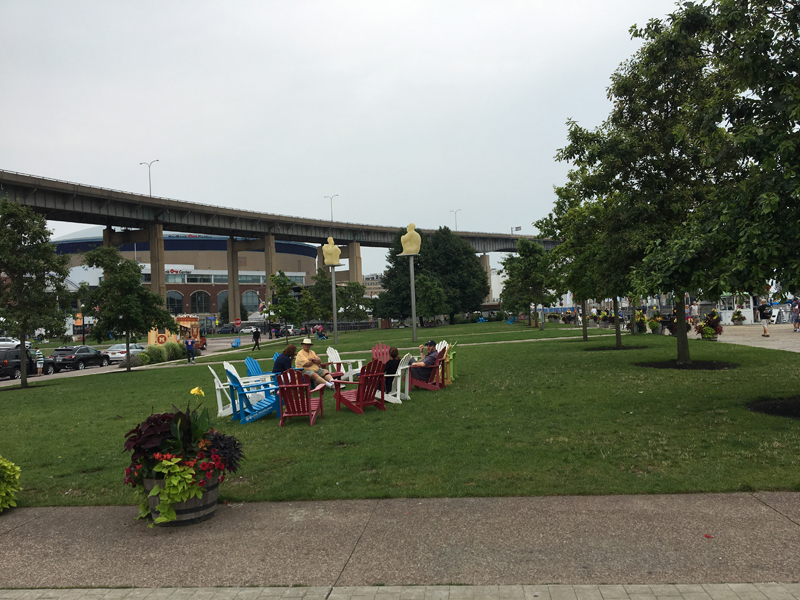 It also occurred to me that Canalside is very different from our own historic Point State Park in Pittsburgh, which is really disconnected from the rest of Downtown. Here, our history in Point State Park is treated modestly and was recently mostly covered up. It is no wonder that the park is not heavily used unless there is a special event. At Point State Park, the museum is almost hidden away and the Block House was saved only through the intrepid determination of the Daughters of the American Revolution. The foundations of the historic buildings, historic wharfs, were all eliminated in favor of plain concrete walkways around the rivers’ edges. It is beautiful and pristine but not in any way equivalent to the educational playground I saw at Canalside. About half an hour’s drive north of Buffalo lies the majestic Niagara Falls. On the American side of the falls, we have a Downtown whose street pattern is elusive. Traffic overwhelms the town, parking is not neatly provided. The park and the falls are hidden beyond various tourist stores in the town. Way finding is hard for pedestrian or drivers but when one finally arrives at the park, which is maintained by the National Park Service, the landscaping, unlike at Chautauqua or Canalside, leaves a lot to be desired. It feels more like the remnants of a landscaped park, with shrubs and trees looking like they need nourishment. The lawn in many places is just dirt. Granted that there are many thousands of visitors here and it can be hard to maintain landscaping but it is done across the river in Canada very well. Signage is poor if it exists at all and one can end up driving around and around the same block or doing the same on foot because each block seems to be lined with the same tourist shops. Niagara Falls is a major world attraction and we should have there a town outstanding for its architecture and its linkages to the river and the Falls and demonstrate our country’s planning and landscaping to the best. One very good thing that can be said about Niagara Falls is that the population is highly diversified. People from every country, every ethnic background, and every age are there and the great natural wonder of the Falls delivers a spectacle that somehow equalizes the human beings who come to enjoy it and they seem to enjoy one another. How will Chautauqua Institute move toward the future? 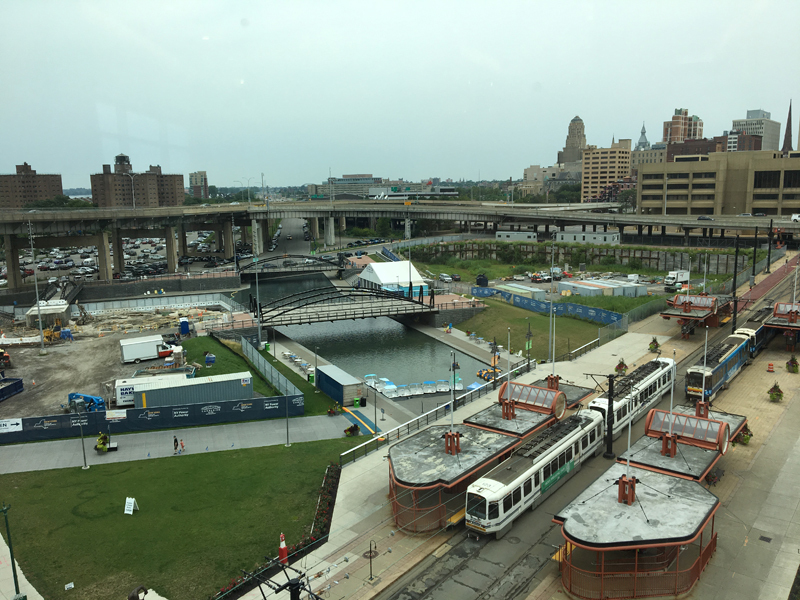 How should Buffalo work to spin off more good economic development for the future by its investment in the visionary Canalside? How can Niagara Falls reconfigure itself to be in itself an attraction that befits and enhances the natural attraction that brings people there? Student authors from Propel Andrew Street High School sign copies of the book they authored about Homestead’s Eighth Avenue at the Tin Front Cafe. From left: Crystal Short, MalikQua Salter, Chaqua Johnson, Janiece Hall and Tikisha Johnson. Thanks to the Young Preservationists Association — a nonprofit organization that encourages the participation of young people in historic preservation — the history of Homestead has come alive for a group of Propel Andrew Street High School students. The association’s Youth Main Street Advisers Program and seven students from Propel Andrew Street held a book signing last Thursday in Homestead to launch their new book, “Take a Walk From the Past to the Future of Eighth Avenue,” published by Red Engine Press. The book was the result of a year-long project to better understand Homestead’s historic commercial district and to envision a new future. “Take a Walk From the Past to the Future of Eighth Avenue,” which is divided into three parts representing the past, present and future of Eighth Avenue, features essays, poems and interviews by the students. The book also includes photographs of the neighborhood from the past and present. Dan Holland, CEO of the youth group, explained the idea for a book came from a desire to do something more enduring than a video. “We wanted something you can see, feel, touch,” he said. The rest of the story came down to a combination of luck and preparedness, Mr. Holland said. He explained that he ran into his longtime friend Jeremy Resnick, executive director and founder of Propel, at a barber shop and mentioned his idea. With a grant from the Grable Foundation and approval from Propel superintendent Carol Wooten, students from Propel Andrew Street in Munhall turned Mr. Holland’s dream into a reality. The most significant result of the project seems to be its effect on the students. She said that in addition to researching Homestead in books and on the Internet, the students took a number of tours of the borough. Dr. Wooten said not only did the project give the students a stronger sense of community, but it also helped them to meet Pennsylvania academic standards, particularly in communications. She also emphasized that the group aspect of the project will help to prepare the students for the workplace. The students also agreed that, in the end, the project was about learning. “The experience was good. I gained knowledge and learned about the community,” said MalikQua Salter, a 17-year-old junior from Rankin, who contributed an essay, interview and photo essay to the book. The result of all the hard work seems well worth it to MalikQua. “The book turned out great. We worked hard and put in a lot of effort, and it’s pretty good,” she said. Echoing her sentiments, Mr. Holland said: “I’m thrilled with the book. It’s a very compelling product. “Our hope is that the community will embrace this book as well,” he added. For a copy of “Take a Walk From the Past to the Future of Eighth Avenue,” call the Young Preservationists Association at 412-363-5964. 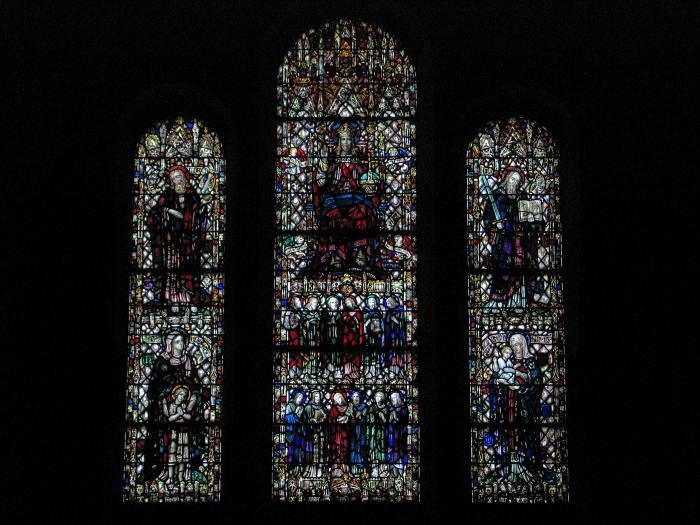 One of the finest stained glass windows in Pittsburgh, designed and made by one of the most gifted glass artists working in 20th-century America, is only intermittently visible. Located in the chapel of East Liberty Presbyterian Church, it is obscured by liturgical banners only removed for special occasions such as weddings, concerts, and funerals. The name of the window and its precise date are as yet unknown. For convenience sake we will call it “Christ Enthroned,” note that the design was exhibited in Pittsburgh in 1922, and that the window was installed in a transept in the 1888 church building, demolished in 1931 to make way for the current building designed by Ralph Adams Cram. 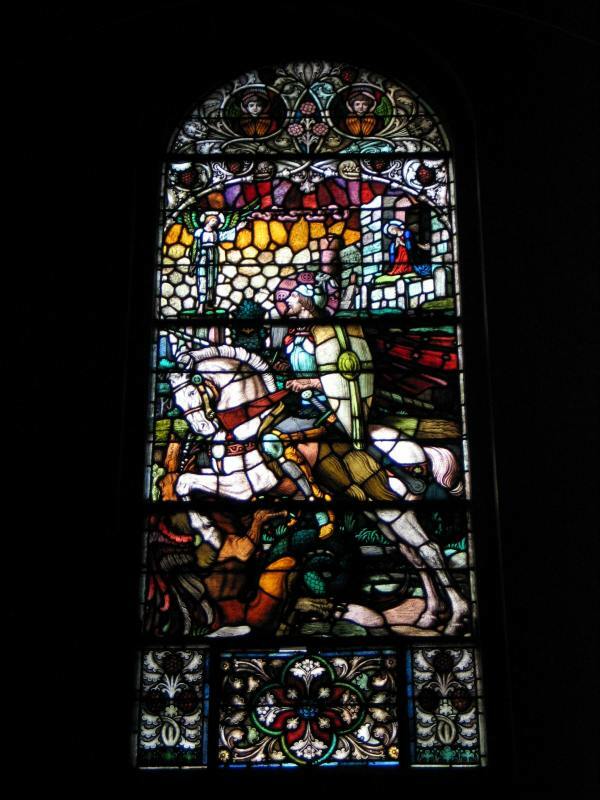 Scottish stained glass artist and historian Rona H. Moody has determined that Henry Wynd Young was born in Bannockburn, Scotland, in 1874, was living in Aberdeen by 1881, and attended evening classes at Gray’s School of Art there 1889-c. 1896. A decade later—a decade presumably spent working in glass firms (as yet unidentified)—Young arrived in New York on May 10, 1907; his wife Bessie and year-old son Henry Walter left Aberdeen and came to the United States, arriving New York on November 6, 1907. A second son, Alexander, was born in New York City in 1908. Young and his family settled in Brooklyn where he established his own business. Young exhibited some of his designs at the Architectural League of New York in 1914. 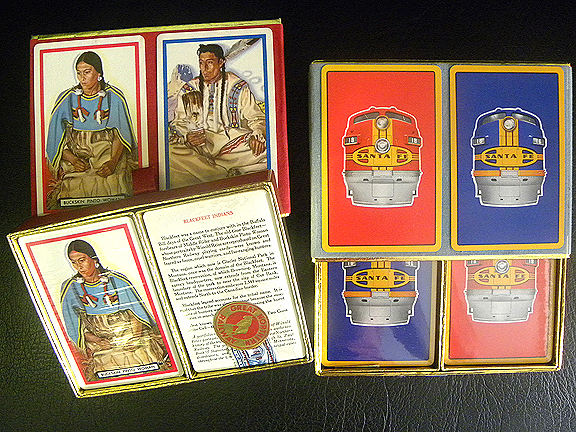 The following year he formed a partnership with G. Owen Bonawit (1890-1971). Fellow Scot John Gordon Guthrie (1874-1961) joined the firm that year and subsequently they were joined by Irish glazer Ernest Lakeman (1882-1948). The Bonawit & Young partnership dissolved in 1918. Young moved his residence to Hamilton, New York; he died there on December 25, 1923. Guthrie stayed on until 1925 and Lakeman operated Young’s glass shop for several years thereafter. According to the 1930 census, Bessie T. Young was president of the firm and Henry Walter Young worked there as a stained glass painter. 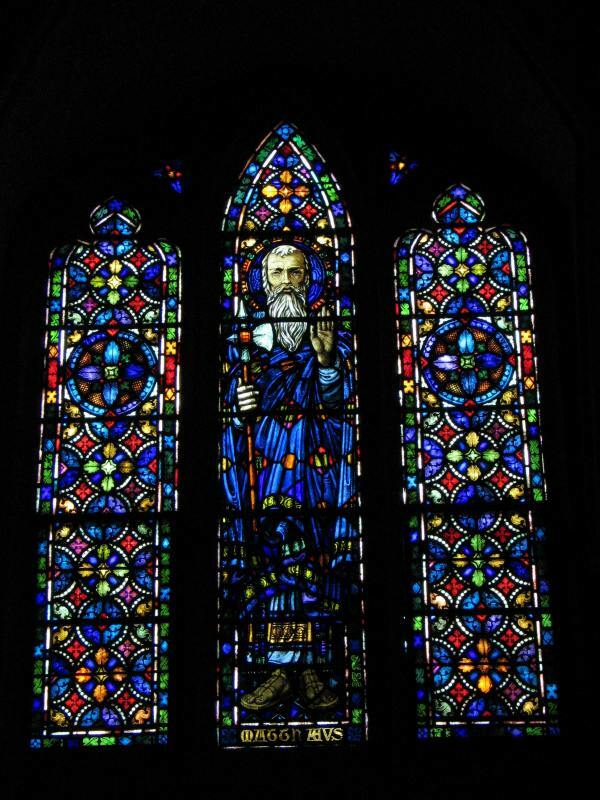 In 1919 Bertram Goodhue wrote of Young: “there is no doubt in my mind that he is far and away the best glass stainer we have.” Ralph Adams Cram thought so highly of Young’s work that he included him posthumously in his 1924 survey of the best stained glass firms then working in America. 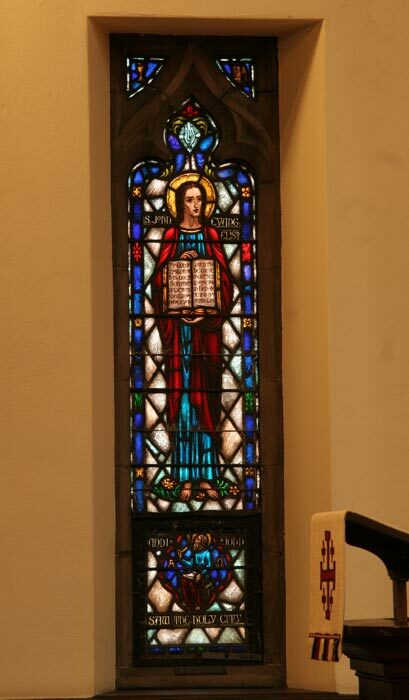 Windows by Young can be found, most notably, at St. Paul’s Chapel, Columbia University, the Cathedral of St. John the Divine, and St. Vincent Ferrer in New York City; Emmanuel Church, Newport, R.I.; Church of the Redeemer, Morristown, New Jersey; and East Liberty Presbyterian Church. In 1922 Young participated in an exhibition of stained glass organized by Lawrence B. Saint (a Pittsburgh glass artist who established the Washington National Cathedral’s stained glass studio in 1928)—Stained Glass: Original Windows, Designs, Cartoons, Drawings of Medieval Windows, held November 13-December 16, 1922 at the Carnegie Institute in Pittsburgh. One of the items Young exhibited was “Sketch design of transept, East Liberty Presbyterian Church, Pittsburgh, Pennsylvania.” The finished window, left to right, shows Old Testament figures Elijah above and Hannah and her son Samuel below; Christ enthroned above the twelve apostles in the center; and, from the New Testament, St. Paul above and Mary and the infant Jesus below. The late Henry Wynd Young re-created with sensitiveness and charm the forms familiar to students of fifteenth-century glass in England. He was searched out by appreciative architects and churchmen who were not satisfied by advertisers and salesmen. Through opportunities they gave him he has left us a few examples of exquisite windows . . . . He helped to make a place in America for the artist-craftsman who need not be heralded by salesmen and publicity agents. Sources: Bertram G. Goodhue correspondence 1903-24, Avery Architectural and Fine Arts library, Columbia University. 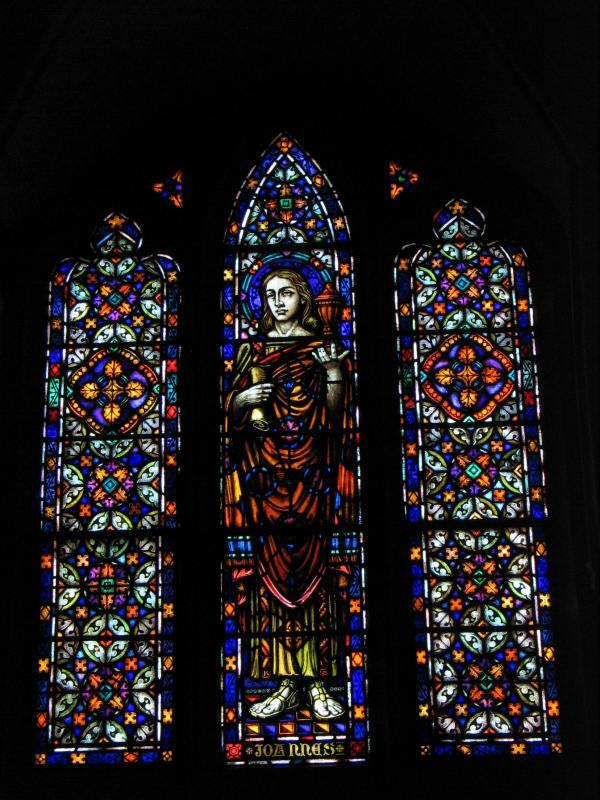 Ralph Adams Cram, “Stained Glass: An Art Restored; America’s Position in Bringing About a Renaissance of This Phase of Architectural Beauty,” Arts and Decoration 20 (February 1924): 11-13, 50. Charles J. Connick, Adventures in Light and Color (New York 1937): 176. 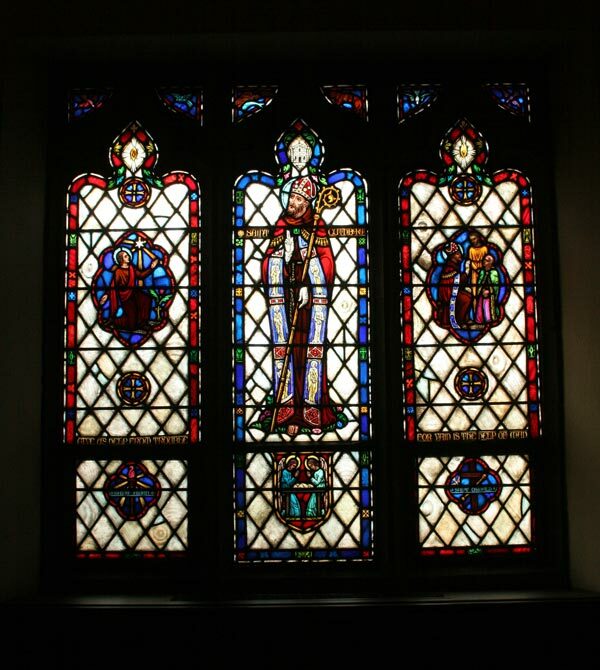 James L. Sturm, Stained Glass From Medieval Times to the Present: Treasures to Be Seen in New York (New York 1982): 72. Special thanks to Peter Cormack, Rona H. Moody, and Wayne H. Kempton, Archivist, Episcopal Diocese of New York. East Liberty Presbyterian Church (1888-1931). 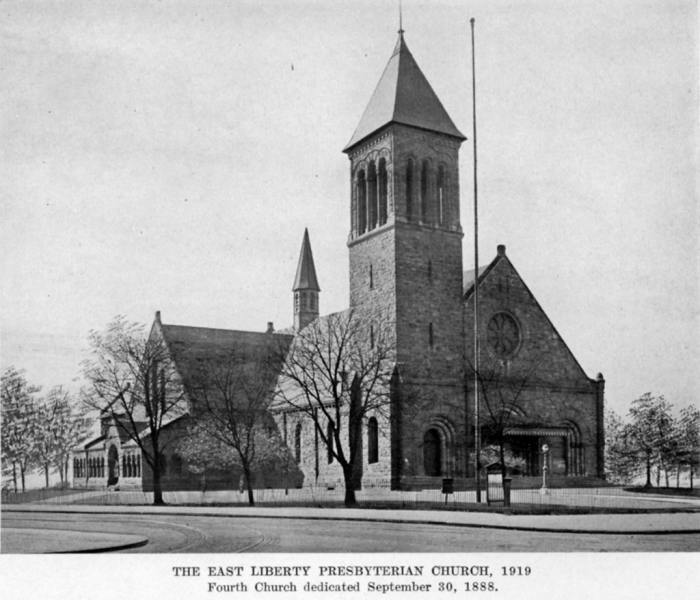 Photograph taken from Georgina G. Negley, East Liberty Presbyterian Church (Pittsburgh 1919): following page 118. “Munich glass”—stained glass made in Munich, Germany (then the kingdom of Bavaria)—originated during the reign of Ludwig I of Bavaria (1786-1868) who sought to turn his capital into an unrivaled center of German art and culture. The leading Munich glass firms were Mayer & Co., founded by Josef Gabriel Mayer and later led by his son Franz, and F. X. Zettler (the firms later merged; Mayer & Co. is still in business). Jean Farnsworth tells us that Mayer & Co. was founded in 1847 to make ecclesiastical furnishings. Josef Gabriel’s son-in-law, Franz Xavier Zettler, organized the firm’s glass workshop in the 1860s, then founded his own glass firm in 1870. 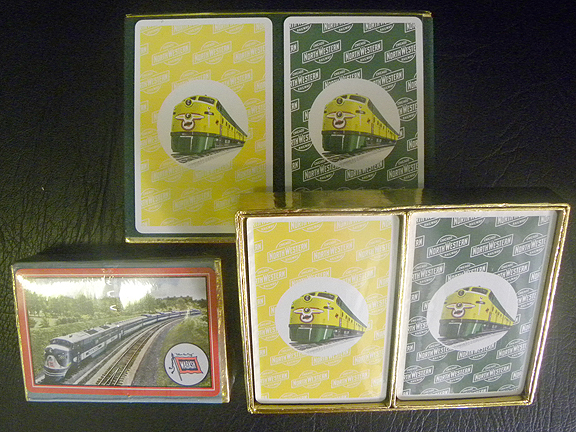 Both companies quickly won royal and papal endorsements. 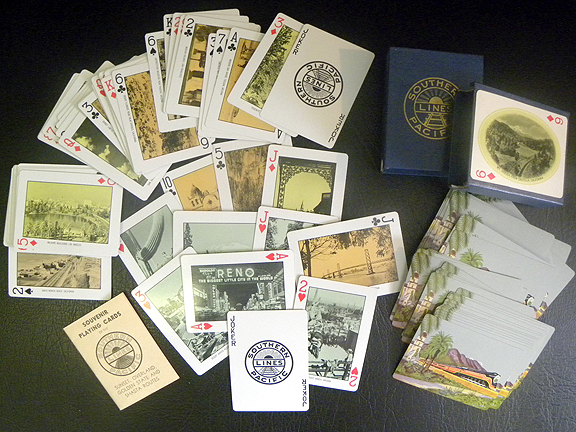 Mayer & Co. and Zettler opened sales offices in the U.S.A. in 1888 and c. 1902 respectively. Their earliest documented glass in the Pittsburgh Diocese dates to 1890. The artistic language of Munich glass owed much to the revival of religious painting, especially fresco painting, in Germany early in the 19th-century. Kathleen Curran notes: “The fresco revival had its origins in Rome in 1812, when the young Peter Cornelius sought out Friederich Overbeck and joined the Brotherhood of St. Luke. Cornelius’s special contribution to that movement was the renewal of fresco painting in the tradition of the Italian Renaissance masters, especially Masaccio, Raphael, and Michelangelo.” Ludwig I sent German art and German artists to the United States. Curran observes that St. Vincent’s Benedictine Abbey in Latrobe, Pa, forty miles west of Pittsburgh, received some 300 paintings from King Ludwig, and Munich-trained artists like William Lamprecht taught fresco painting at St. Vincent; he and pupils like Bonaventure Ostendarp and Raphael Pfisterer painted religious art in Roman Catholic churches throughout the Mid-Atlantic and Mid-Western states during the second half of the 19th century. Although Munich windows were made of traditional hand-blown antique glass, both Munich windows and American opalescent windows typically eschew the flatness and emphatic leading of medieval windows in favor of an idealized naturalism and spatial realism. 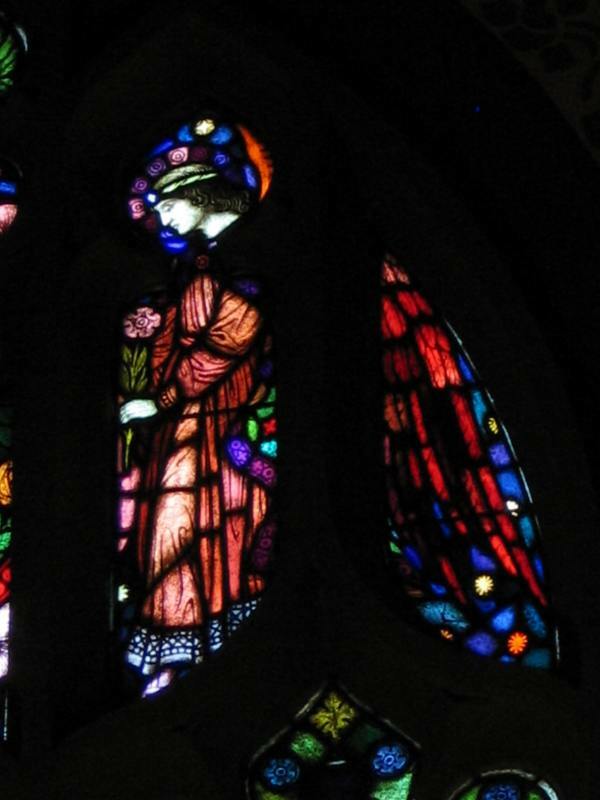 Wealthy Protestants might prefer opalescent windows, which were complicated and expensive to make, but Munich glass windows could be imported as art, i.e., glass “paintings” and—exempt from a high tariff on imported “raw” glass—cost less than opalescent windows and windows made in America using imported glass. 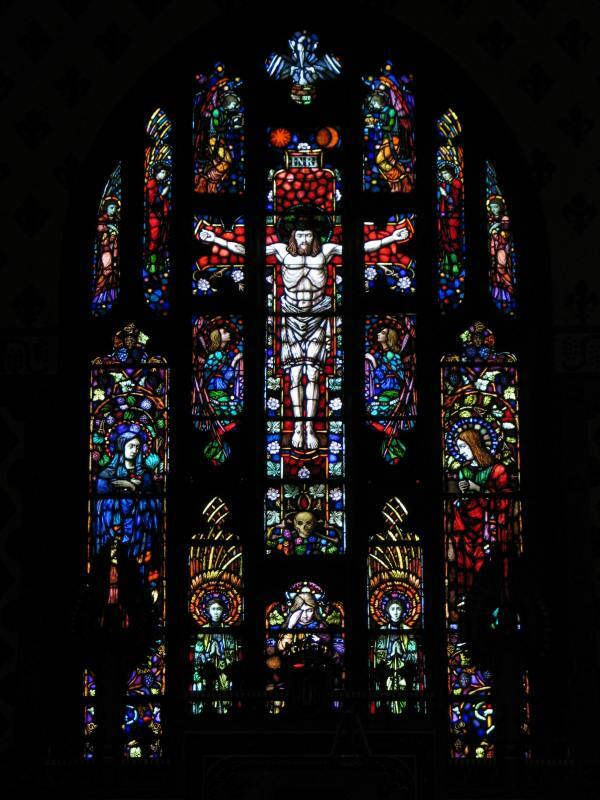 Although often derided by English glass artists as too pictorial, and viewed as an economic threat by American glass firms, the broad aesthetic appeal, economic advantage, and papal approval made Munich glass windows the overwhelming choice among Roman Catholics in the United States. Between 1910 and 1912 Leo designed over 60 stained glass windows made in Germany by the Boos firm for two new Roman Catholic churches in the Diocese of Pittsburgh: St. Paul’s, Butler, dedicated September 10, 1911, and St. George’s, Pittsburgh, dedicated July 7, 1912.
the realization of old ideals worked out with modern means…. The windows were made by the firm of George Boos in Munich, and to Leo Thomas a nephew of Mr. Boos is due all credit for their beauty of color and design. Messrs. Boos and Thomas have been comparatively unknown in this country heretofore, but it is safe to say that work like that which we are considering will soon win for them an international reputation. The chancel window and an angel from the tracery of the transept windows at St. Paul’s, and two of the twelve nave windows at St. George’s (now St. John Vianney Parish) are illustrated. The windows exhibit a stylized two dimensionality, with backgrounds and ornamental sections composed of “many small pieces of glass in a dense network of leads.” In these windows, the flat, heavily leaded neo-medieval meets the abstract to create strikingly “modern” images, akin to the work of contemporary Secessionist designers in Austria and Hungary. 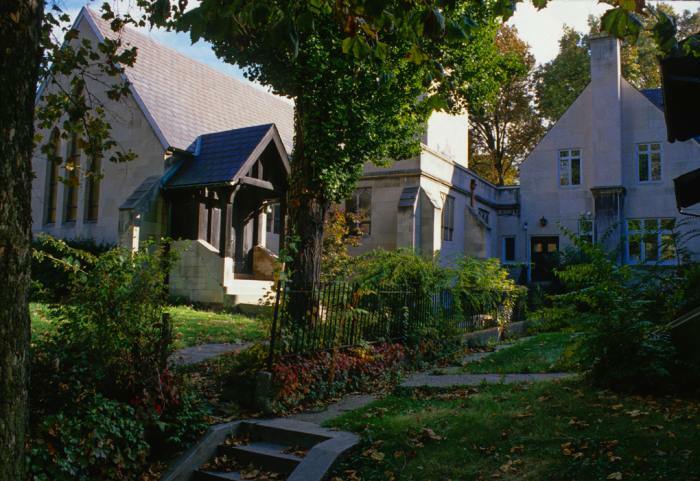 Comes described St. Paul’s as English Gothic and designed all the furnishings. The chancel was painted by the Christian Art Guild of Pittsburgh. The metalware was made by the St. Dunstan’s Guild of the Society of Arts & Crafts, Boston, and the Birmingham [England] Guild of Handicraft. St. George’s Church is located in Pittsburgh’s Allentown neighborhood—The Pittsburgh Catholic called the building “an adaptation of the German Romanesque style to suit modern needs”—was designed by Herman J. Lang (born c. 1885), a native of Hesse, Germany, who came to Pittsburgh in 1901 to join his brother, Edmund (1875-1955), in the architectural firm of Edmund B. Lang & Brother. 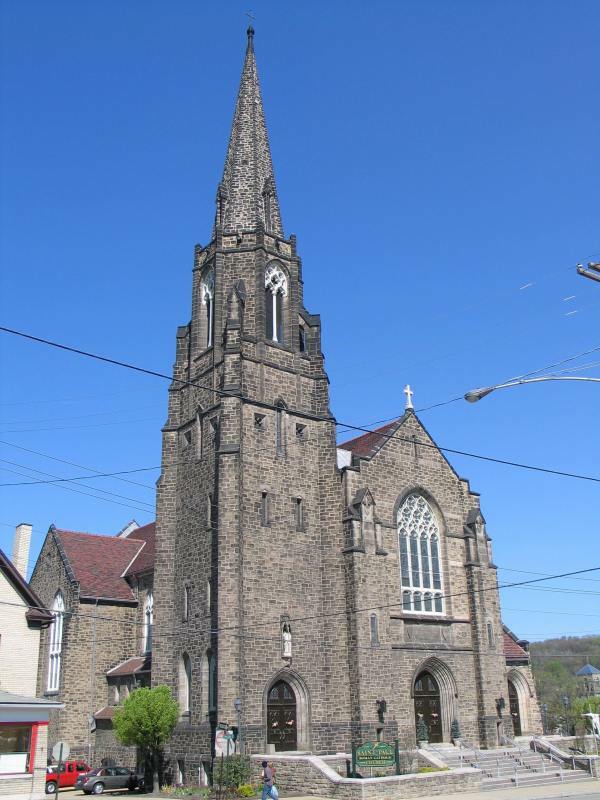 The brothers designed Roman Catholic churches in Pittsburgh together through 1910 and separately thereafter. Edmund moved to Los Angeles after 1918; Herman Lang maintained his office in suburban Carrick where he lived with his wife and three sons, and where his best-known church building, St. Basil, is located. 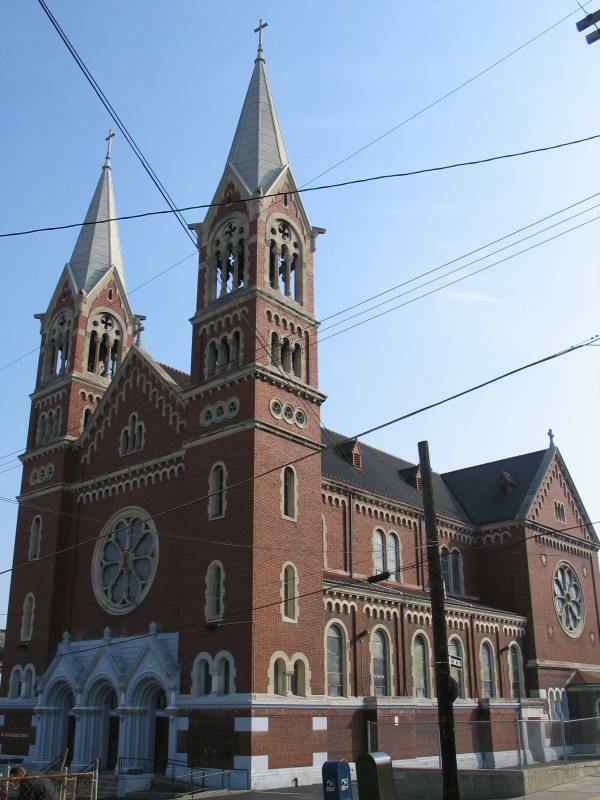 Sources: John T. Comes, et al., A Notable Work of Christian Art: St. Paul’s Church Butler Pa., Dedicated Sept. 10 MCMXI. “Solemn Dedication, Grand Diocesan Event: St. George’s Church Allentown,” The Pittsburgh Catholic, 6 June 1912. 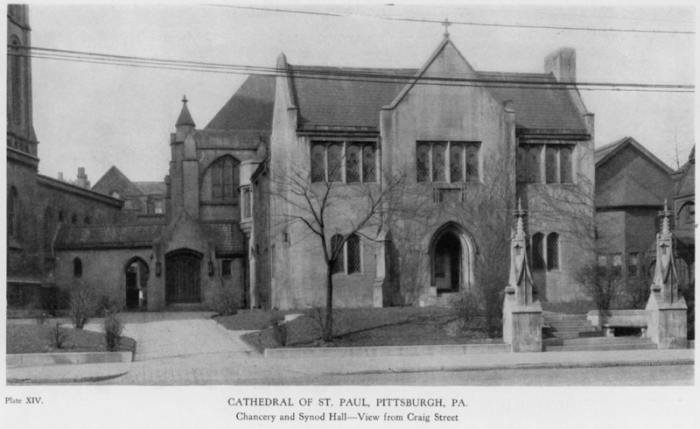 John T. Comes, Catholic Art and Architecture (Pittsburgh 1920). 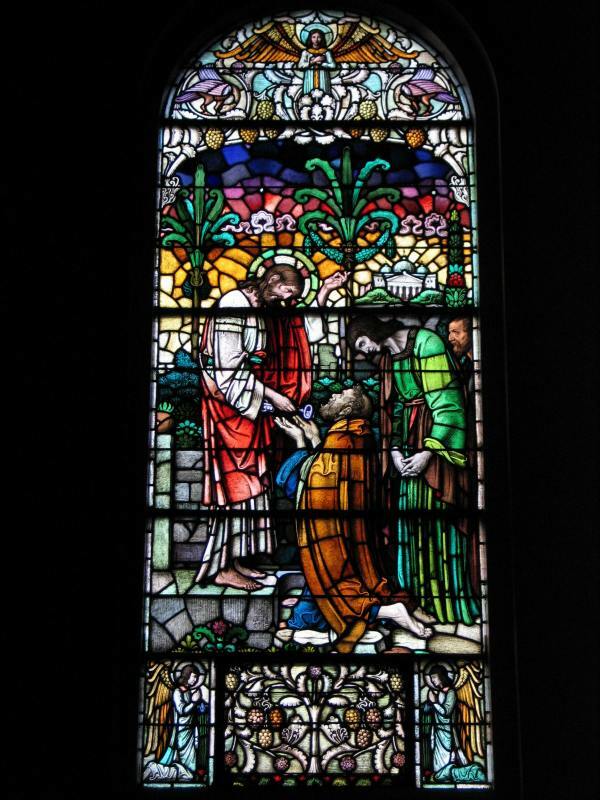 Jean Farnsworth, et al., Stained Glass in Catholic Philadelphia (Philadelphia 2002), 135, 152-153, 180, 196, 354-355, 381, 395, 427-428. Kathleen Curran, The Romanesque Revival (University Park, Pa., 2003): 75, 84-91. Elgin Vaassen, Bilder Auf Glass (Munich/Berlin 1997), 257-258, 350. Thanks to Jean Farnsworth, Gail Campbell, Diocesan Archivist Burris Esplen, Dr. Elgin van Treeck-Vaassen, and Leo Thomas’ granddaughter, Barbara Deeken. St. Paul’s Roman Catholic Church, Butler, Pa.